Once the mindset is there, you still do need the tools. In this section, I will go over some of the tools to consider. For a very long list, go here. I have not used most of these tools, nor do I necessarily recommend them, and have not received any compensation for their mention. (I do have a free HubSpot CRM account). These are here as examples. Please do your research beyond this list and think about the tools you need after you have decided on your real time workflow. Most B2B SaaS services are not freemium, but the cost per month is low enough for many businesses to try. Freemium tends to work very well with the social tools themselves because they are on the B2C side as well, allowing a small firm to grow into the paid offering. Embedding search URLs to various platforms. LinkedIn is the number one free tool for salespeople as well as for marketers. A good salesperson can use LinkedIn effectively without paying because it lets you find people up to 3 levels out, making it possible to glean enough detail to contact them directly. Marketers find LinkedIn effective because there are several third party tools for connecting (or scraping) LinkedIn details for sales prospectors. (I don’t think scraping is an effective, or ethical use of LinkedIn). 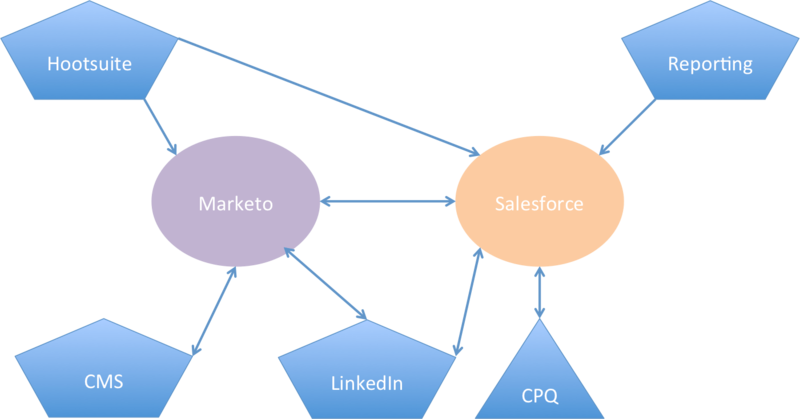 Marketing ops finds that connecting LinkedIn to their MAP and CRM with the free API is the best use of time. In the New Rules of Sales and Service, Scott describes the training a salesperson should undergo to use LinkedIn well. Eventually, Sales and Sales Operations will want to go further. It is possible to do this by paying LinkedIn for improved levels of access for your Sales team. Marketing, of course, can pay for PPC ads or engage carefully in Group Discussions. As with any forum, I advise you to be helpful and to share content that will be viewed as helpful. Too many people spam Groups and it is really, really obvious. I am probably guilty of this too even though I try to frame my content as a question (very effective) and not use the content to promote my paid services. To add power to your LinkedIn, see options like Sales Navigator. This tool usually starts out in Marketing as the social media manager’s free tool, eventually becoming the marketing team’s paid team tool for monitoring across social media. I have used the paid service (and currently use the free service) and have found it very effective for scheduling, monitoring, and engaging across platforms. I have not used the reporting features or UberVU via Hootsuite. The Marketo Integration pulls in engagement conversations and creates new records from the Hoosuite Dashboard. LeadSift is ideal for those attempting to buy social media ads or engage specific follower groups. I would be careful with this one in the twitter context simply because many brands have had automated messages appear ham-handed and too obviously automated. While HubSpot’s Sidekick and Hootsuite’s browser plugin come to mind, what other tools are there for marketers and salespeople to instantly research someone they find on the web? Riffle – seems possible to do this, but they are a bit vague on what they offer over Hootsuite. Social Media Examiner explains the tool displays details of the top things the Twitter user does on Twitter. Buffer or Buffer for Business which helps your team schedule posts and directly act from a web page, much like Hootsuite’s tool. Nimble is a social CRM service designed very similarly to HubSpot’s CRM. The conversation and timeline views are integrated with backend company data to reduce manual data entry. The platform includes a marketplace and appears to offer more social platforms built right into the monitoring portion of the tool. This is another social tool that is quickly becoming a platform by itself. In fact, their homepage has a grid explaining their feature set against solutions and functional needs. If anything, this may make it hard to decide how to use Sprinklr if other tools already exist. Expect more community integration with their acquisition of Get Satisfaction this year. They also have an integration with Marketo, among others. Part of operating a firm in real time is integrating your help and support systems with your CRM and Marketing. Your customer success and support teams should be able to monitor conversations in real time too, and connect those conversations back to customer records. There are many tools besides ZenDesk, yet it seems this is the one everyone talks about when they don’t mention Salesforce ServiceCloud. ZenDesk has built in listening and behavior tools alongside a robust ecosystem of social integrations. A few articles mentioned this tool. It seems aimed mostly at PR professionals and content marketers looking to stay on top of trends and sentiment. CPQ is not often mentioned in the martech stack because it tends to be owned by sales operations and enablement. This is an important part of the real-time stack because rapidly generating proposals and stock arguments are important for a closer. If the CPQ system can pull in real-time information to prompt customization or even just drop in the latest adjustments from product marketing, that’s a big win. I find Sales teams are very concerned with speed and avoiding “administrative” tasks, including proposal generation. CPQ tends to be more effective at larger firms with clear, but complex pricing sheets and product options. In terms of real-time sales, be careful to add the human touch instead of sending along a standard proposal written by marketing only. 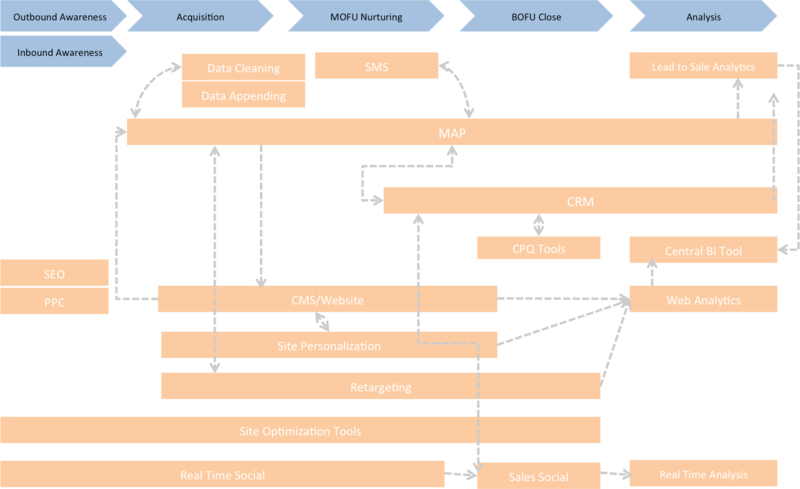 Much has been written, and announced, about how Salesforce handles real time for each function at each stage of the funnel. The recent changes with Lightning should offer improvements to the real time aspects of Salesforce. First, it is easy to add social media search links to any record page layout. There is the native functionality as well as the link tools, which can leverage LinkedIn and Google, or even Google News Alerts. If that’s not enough for you, then it is time to add more SFDC components. Second, the evolution of Salsforce seems aimed to keep your entire funnel staff on one screen: Salesforce.com. While Marketo wants to be a marketer’s “third screen,” the vision of a single screen is far more compelling. The question is whether or not it can be done in a way that is actually adopted. It is rare for a complete suite to function well for everyone. Time will tell. Salesforce1 enabled new mobile functions, customizations, and even a new view of Marketo Sales Insight. Now Sales can see more on the go and, hopefully, take action. Radian6 & the Marketing Cloud. This embeds social listening and engagement for Sales and Marketing. Marketing Cloud: covers everything from email to customers with the tools from ExactTarget and Pardot, although Pardot is still somewhat separate. The full service includes web personalization as well. Sales Cloud provides new real time tools such as Engage, bringing together all the data a customer or lead might have and making it more actionable. I suspect the amount of work required to make this work for your sales team is pretty heavy. Service Cloud claims to integrate cases, chat, and social. Ideally, each section of SFDC should allow the employee to respond in the original medium first, and if needed, invite the customer to a more private discussion. Marketo’s main offering typically includes Sales Insight, which is a plugin for the CRM. I have only worked with the SFDC version. MSI, as it is sometimes known, is an effective real time sales tool because it posts real time behaviors to the Lead record in SFDC. Marketo can be configured to trigger email or SFDC alerts to bring the salesperson back to the record. If Sales is using their mobile device, they can use Salesforce1 with MSI to see their latest Interesting Moments and response behaviors from their leads. MSI also works with SFDC to email leads with approved content and with Outlook or Gmail to record email interactions to SFDC and Marketo. Marketo’s Real Time Personalization tools work a bit differently. RTP is designed for marketers to more effectively tailor their website to post offers or adjust messaging to the specific lead. Of course, this requires effective buyer personas and clean data to drive the system. Normally, I’d recommend a good data cleansing and appending automation for this one to show great results. RTP can go hand-in-hand with a retargeting program. See Bizible’s amazing work with this exact situation. Even if you do not want to spring for Marketo’s real time add-ons, there are ways of using tokens and dynamic content to appear more real-time to leads. Users of Marketo Standard and up get dynamic content options in email and pages which, when built carefully, have the effect of real time personalization. For the past two years, HubSpot has been working to make their tools work more closely with Sales just as much as they are building real time principles into the platform. This is no surprise because David Meerman Scott is one of their advisers. HubSpot Content Optimization System – this is their version of dynamic content and tokenization. Marketers use this with their buyer personas to quickly adjust messaging based on a lead’s details. Marketing – along with COS, HubSpot displays social details for each lead and can pass this information along to Sales or Marketing. The contact view is in a timeline format with all marketing and lead engagement and behavior data in one view. CRM and Sidekick – these two freemium services work hand-in-glove to deliver the conversation timeline, record lead behaviors, and alert the salesperson to opens, clicks, and other changes. I have been using these two for a few months and am increasingly happy with the CRM tool, although I tend to not care much about the Sidekick alerts. I suspect a Lead Development Rep (LDR/SDR) would very much want the alerting features for Gmail. Be careful though because open information is not to be confused with engagement or interest in your product. With ABM being the latest wave of discussion, it is worth mentioning that ABM can be considered real time as well. If your systems are designed to connect individuals to Accounts automatically, then Sales can see into major companies much more easily and take action when the Account reaches critical mass. Recently I attended an event here in LA on the “future of email.” In the sales pitch, two vendors explained how they combined real time information at the time of open for email. The solution seemed targeted at B2C and ecommerce, yet there could be dozens of possibilities for B2B. Check out one option: LiveClicker. For those of you on the forums wondering how to make email more dynamic, this is one option. (And I have no idea how they do it!). During my research, I began to see that to build a Real Time marketing and sales operations stack would mean a martech stack would resemble the multi-platform topology rather than a central platform. Social media tools integrate with MAPs, CRMs, and each other, leading to this multi-platform view. Several firms come to mind. Have you constructed your martech stack to be a real time system? Why or why not? How did you do so? Disclosures: I received an advance copy of the New Rules of Sales & Service before it was released in 2014. David Meerman Scott mentions using such dashboards to monitor what is going on in the world that is relevant to your organization. In the image above, the “Real Time Dashboard” is just one component. Each team will need a separate dashboard because they work at different parts of the funnel. Salespeople are less interested in total RTs per hour than the Communications team. Dashboards may include a war-room like console for the Communications team and Social Manager. This higher-level dashboard can be used by a territory manager or SVP to look at the overall flow of real time data and monitor what is being said about the company. Most LDRs, SDRs, and Account Executives will have their own screen with customized feeds for their leads and clients. It is easy for Sales Operations to adjust the feed to focus only on the user’s territory or assigned records. A Marketing Dashboard should display overall data points such as Sentiment, Key hashtags, Shares, and number of stories related to the firm. A user can drill down into each area and even go to the Real Time Console to look at stories. A CMO might use this to see if content sharing is enough and if people are engaging overall. The dashboard could display counts by Platform as well as if real time channels are receiving revenue attribution overall. These are the tools used by the Communications team for engaging in and monitoring conversations related to the organization. It should allow a user to push data to the lead record and on to the right person to handle it. Advanced teams could have versions dedicated to Communications, Leads, and Customers. Customer Marketing and engagement teams will use a dashboard to monitor their overall success. This should go beyond NPS and counts of onboardings. This dashboard should also show the number of customers engaged in conversation about the firm and their sentiment level. It should allow immediate action and routing of tasks to the right people. These dashboard may look different from business to business and from platform to platform. Do you have examples you can share? Let me know. “When you are building systems to scale your business, you have to build systems that you can put into the hands of ordinary mere mortals that will produce above-average results. You can’t count on having superstars.” Lawrence Janesky, CEO of Basement Systems, Inc. (Real Time Sales & Service, Scott, 59). As Mr. Janesky suggests, excellence is a habit formed by an excellent system to help sales consult with potential clients. When I was in Sales, I performed consultative selling, yet my tools – the system I had – was not designed for this sale. I built my own proposal system, forecast sheets, and deep product analyses. Most firms today could not hire a salesperson without these available from day one. Notwithstanding the continuing work on Sales-Marketing Alignment and “they don’t use the tools they’re given” gripes, how could you build a workflow that propels any salesperson ahead of their peers at other firms? In the last post, I wrote about the Real Time Tech Stack, and here is how I would view it in terms of the revenue generating workflow. 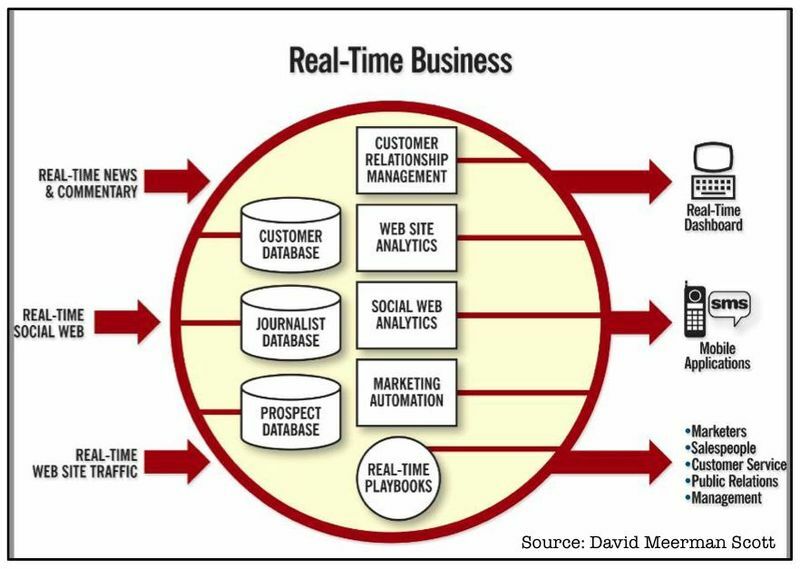 Real-time information is most developed on the Marketing side of the system, or at least that’s what I see in my work. The workflow in Marketing and with any agencies should lend itself toward agile sprints as well as on-call designers to quickly tweak existing ad images and copy. Your ad managers should be able to plug in new content to existing ad tools along with keywords and triggers very easily. Real time ads and websites can be tested rapidly and in real-time. Website tools, especially ones integrated with your MAP are making sites come alive for your buyer personas instead of asking the lead to click on their “solution area.” Adtech Demand-side platforms (DSPs) can make instant adjustments based on your guidelines and market conditions. Even if your volumes are not high enough to justify a DSP, a skilled operator can adjust ads very quickly. When ads are pointed to your MAP’s landing page and data collection system, top-of-the-funnel name acquisition becomes real-time. Of course, such ads must be relevant to the audiences and be based on rapid content generation or repurposing. If your storytelling and values are prepared, your team will find it easy to insert the right piece of content into the right medium at the right time. With Marketing Automation, it is easy to clone a data collection system, modify the content, and deploy it, usually within 20 minutes or less. If you are running a complex nurturing system, adding fresh content is often very simple. Earlier we saw how real time behavioral information and instant contact information is pushed into the CRM workflow. Social media connections are also part of the standard CRM setup now. A common complaint, however, is the data feed for what key prospects or accounts are up to are not always customizable. Work with your Sales Enablement/Ops team to customize this feed or alerting system. Each salesperson works a bit differently – some are always on their phones, some want emails, and others want a special app. Each sales team – Lead Development Representatives (LDRs), Business Development Reps (BDRs), and Account Executives/Field Sales (AEs) – need different views because they are at different stages in the funnel (and buyer’s journey). I used to get this line (and hear it said by Sales) at a few jobs. This is one of the creepiest lines you can use and it really does not make me want to share my needs with you. Marketers know that certain content pieces are early, mid, and late stage. Your real-time workflow must be setup to not push early stage content behaviors to LDRs as MQLs. In other words, just because I downloaded some content, does not mean I am ready to speak with Sales. If my behaviors indicate I am likely to buy, then find better introductions. Sales and social media is another area where both training and tools can help be effective real time processes. I personally recommend Hootsuite for smaller organizations. Make sure that you provide training on the tool and proper engagement on each platform. If you have a social media manager, this is his job to train everyone as well as find out the best way to begin. Find the most engaged salesperson and work with them to feed pre-built lines, approved tweets, and content to share. Perhaps it makes sense to have the social media manager push data to the CRM and alert the right sales steam when a lead comes in via Facebook. All of this depends on your business, the people you have today, and your industry’s regulations. Consider helping certain salespeople get accounts like @company_bob if they do not want to confuse personal and professional accounts. This can be effective just to help the team monitor pre-built streams themselves so they can see how real time engagement works and why it matters. Training people to work in Real Time is challenging from a management perspective because the desire to control is often stronger than the desire to let people go out and work the crowd. David Meerman Scott discusses this at length in his books, but here’s my take on how to train teams, having done this a few times. First, make sure you hire people who have good principles and people skills. Training can start with Marketing with the social media manager tasked with organizing the “real time team” across functions. Second, train people to tell your story and live it as much as an employee can. If your firm has a poor story, it won’t resonate internally or externally. If your staff cannot “live it” during the day, perhaps your entire culture is not living it. The point is if you have people who buy in to the “why” and can internalize this story well, they will be much more likely to do the right thing. Guidelines on who can engage and when. My personal guidelines include never engaging trolls, never engage haters, and if I am unsure about the implications, I do not respond. Each firm, team, and role will need different training and may even use different tools – think Social Media Managers vs. Salespeople and which screens each uses. Communications is the most important team to train well because they are monitoring and engaging daily as well as sharing content. The social media manager, who owns your accounts and overall tone, is likely located here. David Meerman Scott wrote an entire book on this. Use it. Demand Gen/Field Marketing should work with the Communications or social media manager to integrate real time with the long-term aspects of demand generation such as adding real time content to nurturing flows, updating events, and running new content fast. In my view, this team should operationalize delivering the real time news to LDRs along with MQLs alerts. Some teams might have Sales Ops or Marketing Ops handle that part. Customer Marketing should monitor and be attuned to customer changes and actual customer people. If a customer record is showing activity related to the product or in other areas you can help, make sure that news is given to their Customer Rep as well. Customer service should be able to communicate with the Customer and internal reps quickly and with the real-time information from the customer such as behaviors, posts to forums, and public complaints or comments. Sales Development Rep (SDR) or “Lead Development Rep” (LDR) as Hootsuite more accurately calls them. Apart from the basic training, LDRs should be in the habit of monitoring their assigned leads or accounts for activity and real time news. If a lead is asking their network on Twitter and LinkedIn for help on which firm to investigate, make sure they call them up or ask an Evangelist to engage directly. It may be difficult for a LDR to engage this conversation without looking like a salivating lion, or overly self-serving. The training should help the LDR decide when to engage directly to help and when to have an Evangelist or Customer help. “Hey @hotlead I’d be happy to connect you or visit http://product.com/testimonials”. It might make sense to follow up with a call with them as well as the Evangelists. Continually monitor client information to ensure the new Customer is getting the right support from Customer Support and Onboarding. If they are hitting your forums or ecosystem blogs, then directly help in those mediums and try to bring the conversation back to you. If they are asking bout third party integrations, help them get to the right page as well as ask the third party to engage, if appropriate. Real time methods do need some level of discipline, decency, and delicacy – the three Ds of Real Time. Discipline not to react without careful thought. Discipline to monitor the conversation always. Decency to engage appropriately, in the same medium, at the right time. Delicacy to engage or say something at the right time, or to say nothing at all. There are hundreds of examples of brands and people engaging well (Oreos) or engaging badly. Be careful with scheduled tweets, auto follows, and rogue staff. And while Twitter is an infamous venue for these wins and fails, plenty goes on with Facebook and LinkedIn too. Now that you are operating in real time, how can you report on the results? Viewed another way, this stack is pretty close to the multi-platform model that Scott Brinker discusses. My view is that while this will be a multi-platform stack, some of the proposed components can be conflated. For databases, I would strongly urge you to have a single database for Journalists, Prospects, and Customers. This is part of one continuum and would be difficult to manage, track, and email in separate systems. In effect, this is your MAP+CRM system. Journalist Database – only the largest firms would have a separate database for bloggers, reporters, and industry analysts. (And many are asking for MAP access now). It is easy to segment this group out in your CRM and MAP. In fact, this is exactly what I did on my first implementation. How would I do this now? 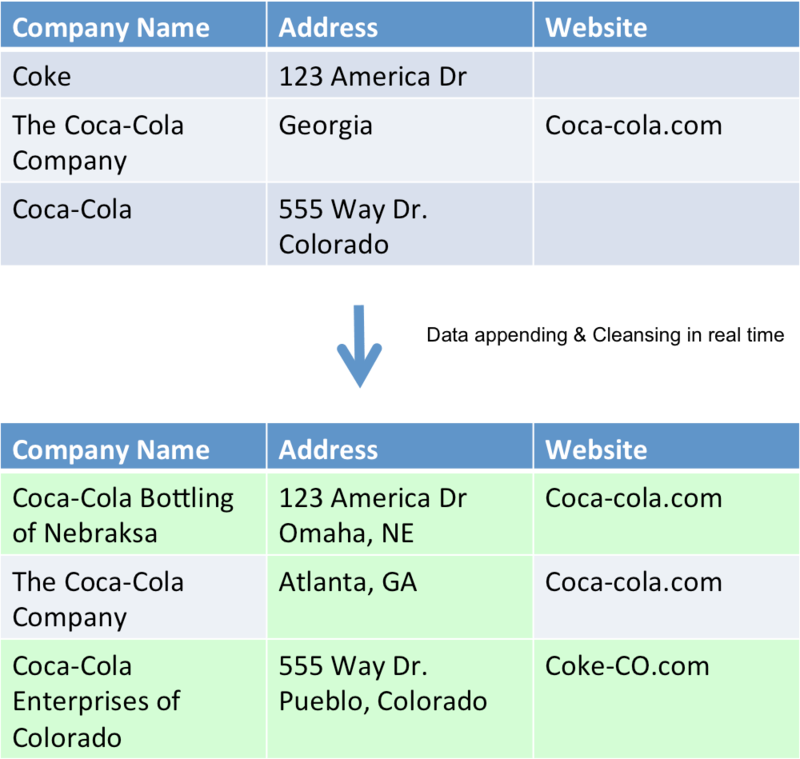 Merge the PR database spreadsheet with the MAP. Create a Press Queue in SFDC. Push all records that identify themselves as “Press” or “PR” types to this Queue. Create a Smart List and/or Static List to manage this list. Decide if you want to market to them separately from what they requested. Who will manage this list and Queue? In some cases, it will make sense for you to have a separate “PR” Workspace and Lead Partition for this team to ensure sensitive press and analyst contacts are not accidentally sent typical marketing emails. Prospect Database – some firms choose to hold back prospect records from the CRM or from Sales entirely. This is a standard practice, although I am well known for encouraging all records to be synced and managed to the CRM. Customer Database – what is not standard is just how to identify customers. Preferably, the Prospect and Customer Databases are completely merged in the CRM and MAP. However, identifying customers may be a bit harder depending on your setup. Your customer data may also be a part of your product platform, but that detail must be synced to the CRM to be effective in real time. Then there are the Analytics tools. Social Analytics – Scott suggests that this is to monitor blogs and social media for your products, prospects, etc. What he does not include, surprisingly, is the social engagement component to that tool. The major social tools provide monitoring, engagement, and analytics together. The question is how to merge the marketing component and the sales component to create engagement. Scott discusses this extensively in Real Time Marketing & PR and Real Time Sales & Service. Real Time Dashboards – real time data is already here, the question is more about is it organized in a report that is updated constantly with the right metrics? With Salesforce1 and SFDC Lightning, and Marketo’s CalendarHD, it is now very easy to show real time charts in a variety of mediums and across the firm. But do not start with the tool, start with the real time mindset and then decide which reports you need to build. Dashboards are going to be different depending on the team and goals. Building really great dashboards takes time and likely a business intelligence tool with a competent operator, but some of this is possible within the MAP or CRM. These are “configure-price-quote” or proposal generation tools, which can help sales at each stage of the opportunity with the right materials. From my experience, the use of these systems is scattered: some SMBs use them and some Enterprises use them. The question is if you want to go into Real Time Sales, how do you ensure the Playbooks, Proposals, and CPQs are able to incorporate real-time information? Who updates it and how automated is the real time database? Make sure you question the vendor in detail on bringing in real time sources to the package. Make sure you have a people process to updating these too. In 2010, Scott was concerned about real time alerts to prompt Sales into action wherever they may be. Today, the sales team is completely on smart phones and integrated with platforms like Salesforce1 and HubSpot CRM/Sidekick. In fact, marketing is also getting in on the mobile action with increasing ability to plug into the MAP from tablets and phones for certain actions. This is one area not explicitly mentioned in the Scott’s original books. One of the components experiencing a surge in growth and development is the data appending system. Data services typically include a data cleaning component and a data appending component. First, the vendor will help you dedupe and clean bad data, such as merging “Coca-Cola Company” with “Coke”. Then, they will offer you form level data appending or automated backend data appending to ensure that Company, Industry, Address, and other details are filled in automatically. This service helps improve segmentation accuracy as well as saves time in researching or requesting this detail. A dossier on the Lead or Account is effectively generated in the CRM through real-time news, instantly updated contact information, social media, and web behavior. This dossier is then available on desktop and mobile in seconds. Another key component, which can be part of the Data Appending Tool is to match loose names to their proper Accounts. This is the manual part of what Sales does with MQLs and it drives them nuts. Instead, automate this process with tools like LeanData to ensure that as individuals become mature, they are connected to the right Account, in the right territory, and with the right salesperson. Here is my view of the martech stack you will need to implement a real time business, or even just real-time marketing and sales. It is important to understand the business workflow before choosing vendors. In the next post, I will discuss inserting real-time tools into the business workflow. Previously, I discussed David Meerman Scott’s 2014 book, The New Rules of Sales and Service. As part of the review, I touched upon what these rules meant for marketing automation tools because Marketing is increasingly responsible for delivering the technology to enable real time sales and service. As a Marketing Operations professional, I see quite a few tools and workflows that can, or cannot, facilitate real time sales and service. If you are in charge of sales operations, marketing operations, or service centers you should also be aware of how real-time companies work and how to build the infrastructure that make working in real-time a reality for your firm and, most importantly, its audience. What can you, as a marketing technologist or marketing ops leader, do to build the real-time business infrastructure your firm needs? You can start with your martech stack, but I want you to think about the entire “funnel” and what each funnel function needs to engage in real time. In some organizations this will mean Marketing, Sales Operations, and Communications come together, perhaps creating a “real-time working group” to coordinate the project as a “Front Office Tech Department,” which is charmingly old-school. Marketing is probably at the forefront of a business’s real-time efforts. Perhaps you have a social media manager or strategy and maybe you have worked on personalization for the website. Real time personalization on the web is only a start and every decent Marketing Automation Platform does this already. Money is already being made on tools like Marketo’s RTP and retargeting ads. When you built out your MAP, you also setup the delivery of real time behavioral data to both Sales and Marketing. Perhaps those behaviors appear in your CRM, like Marketo’s Sales Insight. Real time information is about helping Sales frame the conversation and the questions at the time the lead is most likely to be receptive to a human conversation. Finding that sweet spot can be hard and eventually you will add predictive scoring to help, but until then, Sales has to understand how to use the information and when to pounce. The other part of the challenge is ensuring your team and your MAP are prepared to roll out real-time content and programs to engage and react to important trends or events. There is always risk here so, the team must have a process for a reality check to avoid embarrassment. The marketing ops component here is relatively easy, and you likely have it already: cloning campaigns. Your system should have workflow templates ready to go with Emails, Landing Pages, Forms, Lists, and Tracking. Once the content is ready, it should take 20 minutes or less to deploy a page or email. In many firms, marketing ops is responsible now for anything that could touch real time marketing, sales, and service. How do you build out the rest of the system? Stay tuned for the next post on The Real Time Martech Stack.